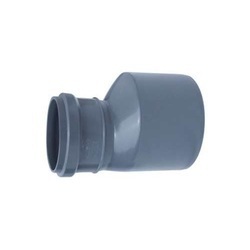 Providing you the best range of plastic elbow tee, plastic pipe elbow, plastic pipe reducers, plastic pipe tee, plastic plain y tee and plastic drain reducers with effective & timely delivery. Backed by a diligent team of professionals, we are engaged in offering an excellent range of Plastic Elbow Tee. Our offered tee elbow is manufactured using the finest quality plastic and modern technology in line with industry norms. Moreover, this tee elbow is stringently checked by the team of quality experts on predefined parameters. Clients can avail this tee elbow in different thickness and sizes at market leading prices. 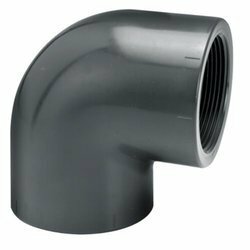 We are one of the leading manufacturers & suppliers of Plastic Pipe Elbow. We are one of the leading manufacturers & suppliers of Plastic Pipe Reducers. 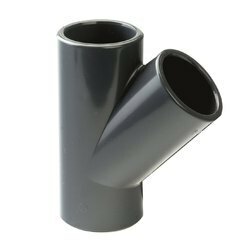 Being a well-established organization, we bring forth an excellent assortment of Plastic Pipe Tee for our clients. Our offered pipe tee is widely appreciated by our valuable clients for its precise design and easy installation. The offered pipe tee can also be availed in variegated sizes, designs, and specifications. Our clients can avail this pipe tee from us at pocket-friendly prices. Customers can avail from us a wide range of Plastic Plain Y Tee. These Plain Y Fitting are manufactured using quality raw material and cutting-edge technology. The offered fittings can be availed by the customers in different dimensions, shapes, sizes and material specifications as per their needs. Owing to the features like fine finish, perfect polish and resistance against corrosion, these fittings are widely acclaimed in this competitive market. We are instrumental in providing our clients a comprehensive range of Plastic Drain Reducers. Backed by a team of skilled experts, offered reducers are manufactured using high-grade plastic and advanced technology in sync with industry norms. Our offered reducers are precision-designed; in order to cater the specific needs of various industries. Furthermore, these reducers are quality tested against various parameters in order to ensure their quality.